Crisis... will the next US president have a simian line? During the past 40 years 5 out of 7 US presidents were left handed. 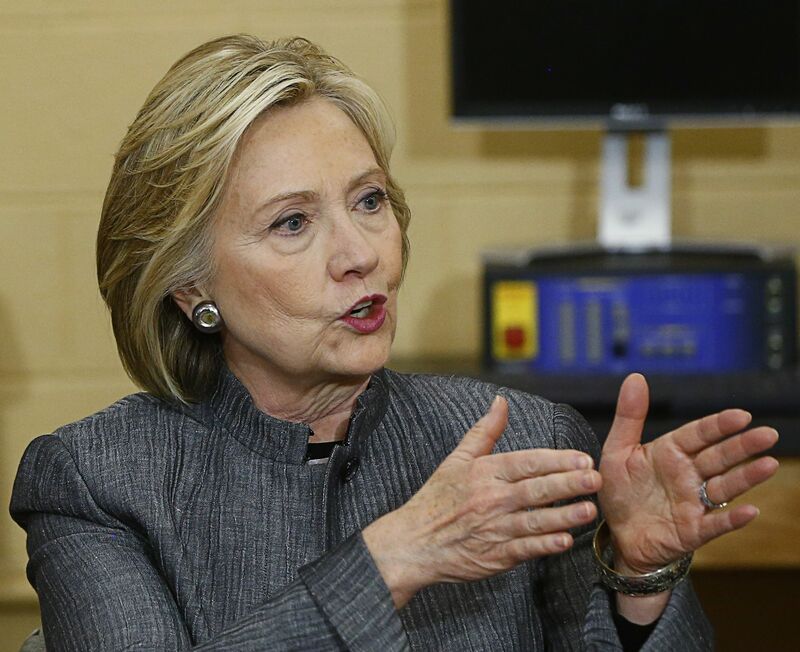 Will Hillary Clinton's simian line (see her left hand) become the new US presidential curiosity? 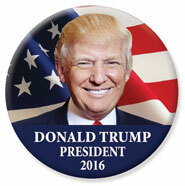 Many expect that Hillary Clinton will succeed to become the Democratic party's nominee for the 2016 US presidential elections; she is right handed, just like Jep Bush - who is so far recognized to be the most likely Republican nominee. PS. 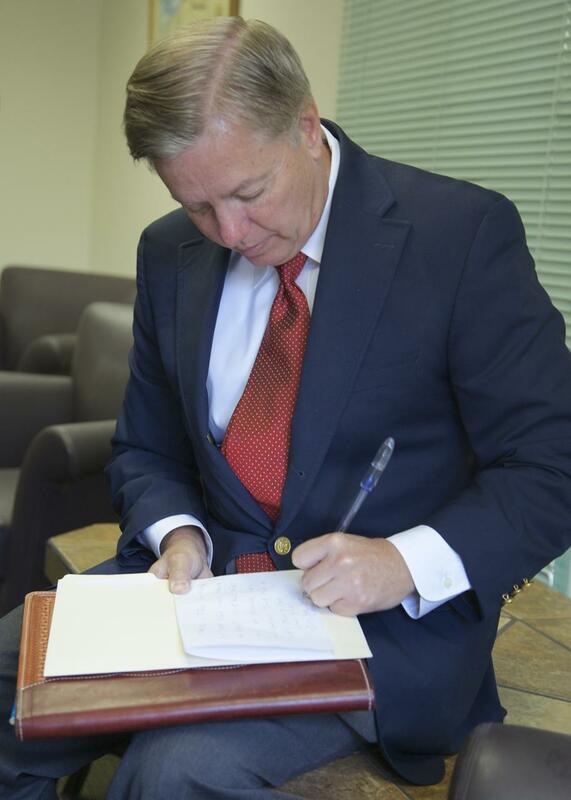 Curious to see that among the 11 Republican nominees so far there are two left-handed candidates: Rand Paul & Lindsey Graham. Hillary clinton will never become president of the US..i have seen her hand.. further she has alot of obstacles in this run which she will never run over..
mihsaaskhan wrote: Hillary clinton will never become president of the US..i have seen her hand.. further she has alot of obstacles in this run which she will never run over.. Her head and heart lines are broken.. she is facing extreme opposition on her mars.. her logical side is too strong on imgination .. further her intellect and business mind is awesome, i fear LG will become the president and he will give more wars to the world than ever..
Re: Crisis... will the next US president have a simian line? Close-up: Hillary Clinton's (incomplete) simian line! NOTICE: The proximal directed branch makes a sharpe curve relative to the radial part of the simian line, which leaves open whether the line involves a part of the head line... or a 2nd third finger line (a.k.a. fate line). Close-up: Hillary Clinton's simian line! Yes she is shrewd and logical her pinky is also making her logical plus business oriented. pointed pinky makes good politician . How do you read the line above the Simian's Line Variation in the left hand? Is it the GOV or second heart line or what? Then a line drops down from this Simians Variation low down or does a fate line come up from the Mount of Moon and ends up at the Simians' line Variation. I was wondering whether the Monica Lewinsky must have left a mark somewhere on her palm. Don't know what her age must be at that time. Hi Pravin, thanks for asking! I recognize the line above the (incomplete) simian line to represent a remnant of the heart line - which can be recognized by both it's location and it's structure (which is likewise strong as the simian line and the other major lines). 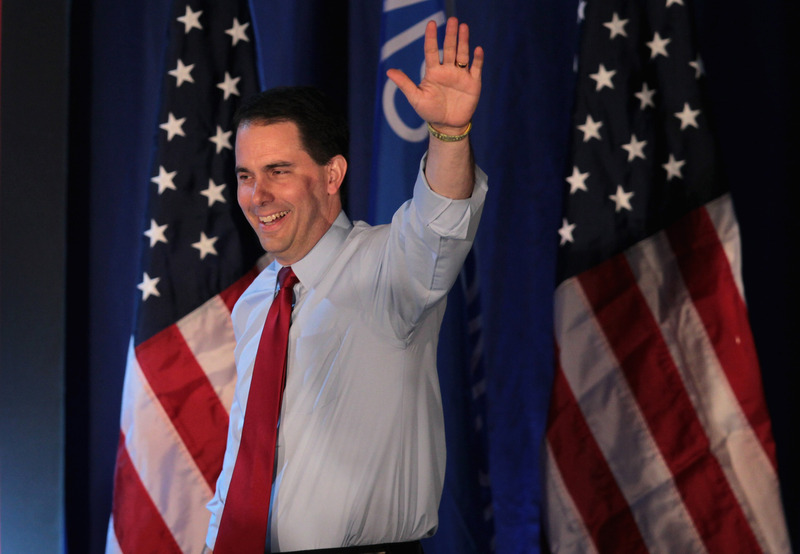 This candidate, Governor Scott Walker, might have a simian on his left hand. Martijn? 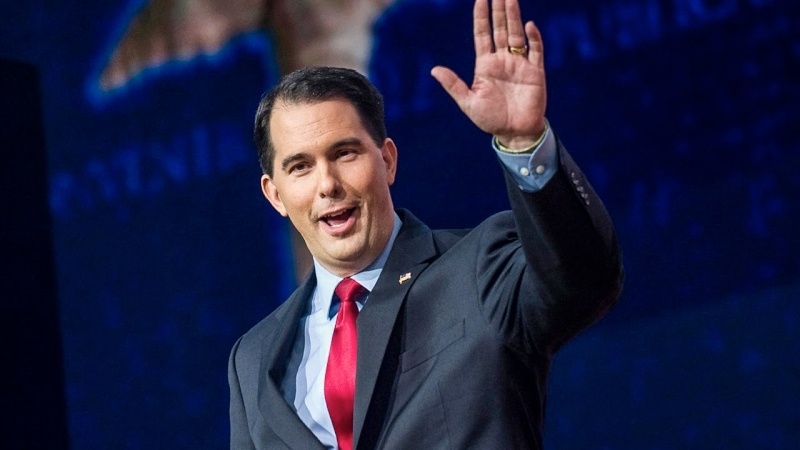 Well spotted mooky: yes, Scott Walker has a (dissociated) simian line in his left hand indeed - thanks! I found this discussion very interesting, and consider Hillary has her head line commencing on the Mount of Jupiter which is the sign of an independent thinker, I always have difficulty in saying she has a Simian line as there is a clearly defined head and heart line, or proximal and distal crease. However I understand and accept interpretations as described here. 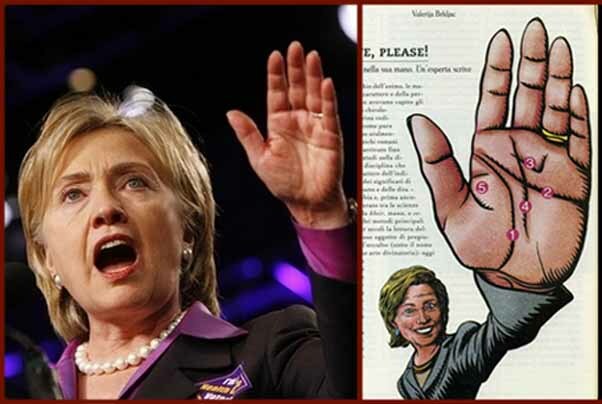 I could not help comparing Hillary's hands with those of Donald Trump. His hands are notably small, which for some meant a big picture person, but who knows what he focuses on given his inflammatory rhetoric. His head line indicates a tendency towards depression and imagination, and perhaps there is an indication of a strong life instinct, but it's a bit hard to tell from this image. This indicates a heightened tendency to respond to any threat with aggression (Holtzman, 2004). 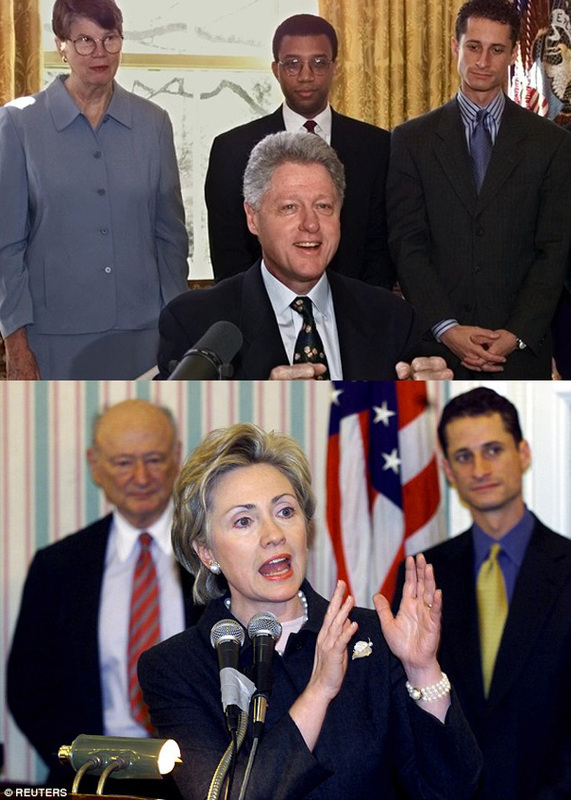 I am not sure what you exactly have in mind regarding the terms "a clearly defined head and heart line", because the photos below indicate that there can be no doubt that in Hillary Clinton's left hand both major transverse creases are partly fused with each other, and therefore it is actually impossible to define where both lines begin and end... which concerns a typical characteristic for an incomplete simian line. However, because of the sharp curve involving the proximal branch that might get associated to represent a part of the head line... one can also wonder about whether it actually represents a 2nd fate line - because it is by principle quite unusual for a major crease to display such an abrupt change of direction, and such phenomena are quite often featured with simian lines. The fact that the line is dissociated from the life line is sort irrelevant, because this is described with the concept involving a 'dissociated simian line'. Thanks for those images, Hillary Clinton's hands are immensely complex and I understand and accept your points about disassociated Simian lines. From purely an interpretive point of view I find her most powerful factor is her Mount of Mars which dominates the Mount of Venus. Her heart line which indicates a very strong materialistic aspect to her personality perhaps reinforces the dominance of Mars over Venus, and along with the short line moving from her Mount of Jupiter sharply up to the Mount of Saturn may be a strong indicator of pragmatic leadership. I am concerned at the line bisecting her Apollo line, but the Apollo line seemed to be replicated by the former Mount of Jupiter to Saturn short line. It is almost as if the latter is compensating the slashing of the Apollo line after the sudden divergence of her Apollo line from the fate line at the forking of her headline. Perhaps this aligned with the demise of her husband's power where she would have been the supporter, as oppose to the recognition that came through her personal choice to take on the leadership challenge. I include a link to Australia's Prime Minister, Malcolm Turnball's, had which also has a Simian line. 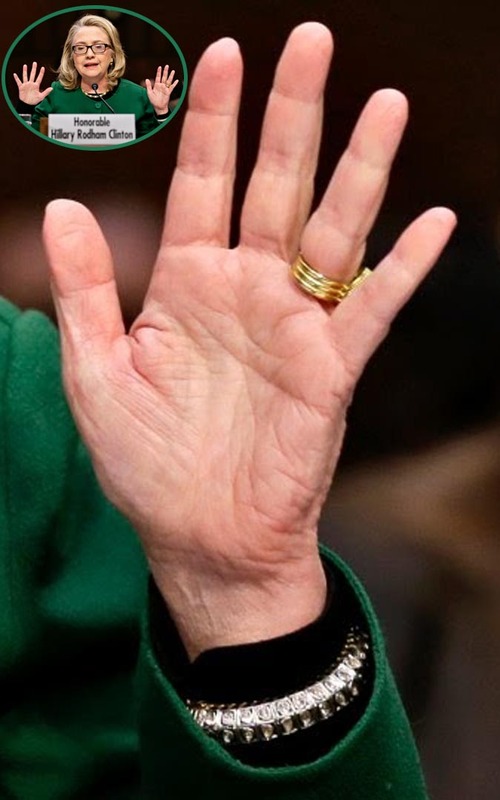 The hands of Anthony Weaver, who became Hillary Clinton's worst night mare!